For six years Carly Nolan has built a life for herself and her son Christopher, never getting too close to anyone. 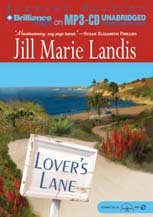 Nobody in the sleepy little beach community suspects she is running - from the mistakes she made in her youth, the memory of her fiancé Rick and his unexpected death, and the rich, powerful people who want to take away her child. She has carefully concealed her troubled past from the folks in the isolated haven of Twilight Cove. Until now. Private investigator Jake Montgomery has been looking for elusive Caroline Graham since the day she disappeared with Rick's baby. All Jake wants is answers. He finally finds her living under an assumed name, no longer a wild teenager, but a beautiful, devoted single mother who captivates him like no one ever has before. As Carly cautiously allows Jake into her life, she begins to trust another person for the first time in a long while. She never imagines that Jake, caught between his mission and his growing passion, poses a threat to her protected world. For if her secrets are revealed, she might lose the child she holds so dear - and the man who possesses the key to her heart.